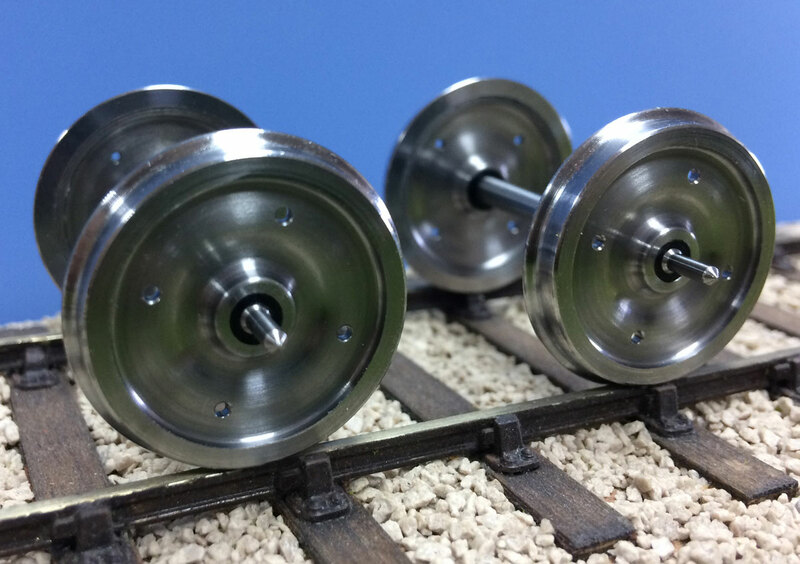 Solid Machined Plain Disc Coach Wheel Sets. These wheels are correctly profiled both inside and outside. 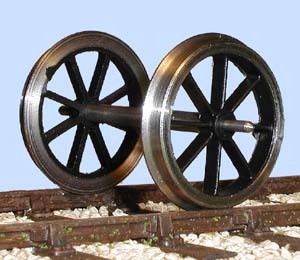 A set consists of four wheels mounted on two axles and four bearings. These consist of steel pin-point axles, Brass bearings, Nylon wheel centres & steel tyres, which are pre-assembled. A set consists of four wheels mounted on two axles and four bearings (bearings are also available Ref: 7154).